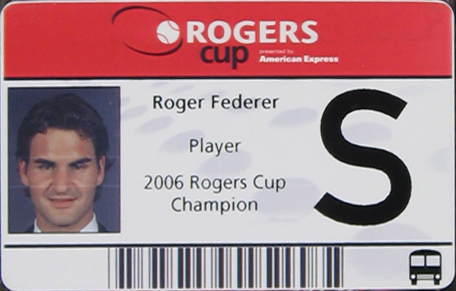 The Rogers Cup in Toronto ended a couple of days ago, with Roger Federer winning the men's singles title over Richard Gasquet. It has been an extremely busy 13 days for me, working with a team of over 130 volunteers to ensure that all the tournament transportation needs were covered. As such, I did not get to blog as much as I had intended to. While things on a whole went pretty well, there are always areas for improvement that we will work on over the few months to ensure that things are even better for next year's tournament. Here are some pictures from from either myself or my brother, Gary. This was the transportation area, where players, officials and other tournament guests came to when they wanted transportation. Here are three action shots that my brother took of Roger in action, against Sebastian Grosjean. This is the car that Roger was driven around in. 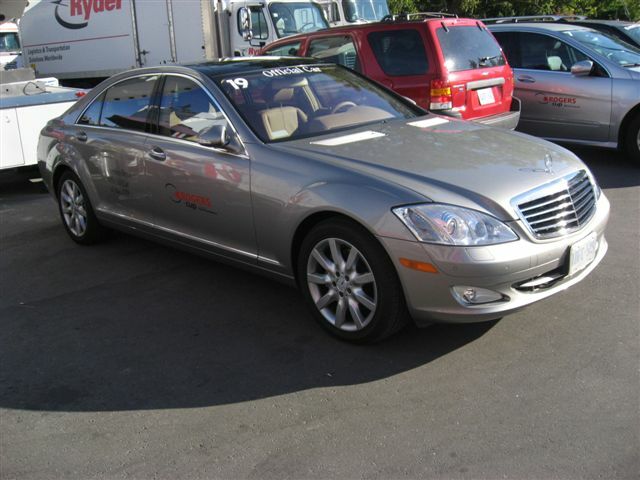 It is a Mercedes Benz S550. According to Roger's driver during the tournament, Roger was showing *him* some of the features of the car, as he himself owns one of these cars. Here's a little inside story. For drivers who worked during the night shift, Gavin Ziv, the Tournament Manager, often gave us some candy to keep us going into the early morning hours (there were a couple of nights where the volunteers worked until 1:30 am). 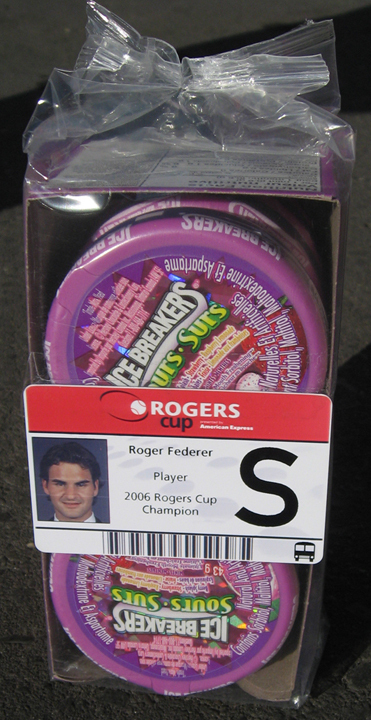 By chance, we discovered that Roger and his girlfriend Mirka liked this particular candy. So as a parting gift, we gave him a package of these Ice Breaker candies, along with a specially modified accreditation tag. Certainly, it is not the same as the $400,000 in prize money that he received for winning the tournament, but it is the thought that counts, right?